Gideon Ruck has been bow hunting the woods around Stone Ridge with his father for nearly two decades. In that time he’s seen an odd thing or three, but he’s always kept his mouth shut. After all, he believes what animals do in the wild is their own business. Plus, who would he tell? When his father comes down with the flu, he starts the hunting season alone. His first morning out, he sinks two arrows into the biggest buck he’s ever seen, but it still takes off. 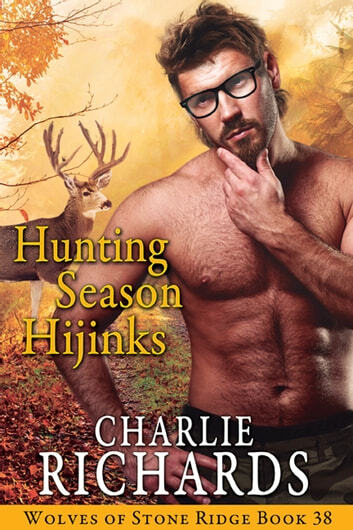 When Gideon finally catches up with the injured animal, he finds not a deer stuck with his arrows, but a man…a naked man. Even with panic spiking through him, Gideon takes one look at the stranger’s fine backside and knows he can’t walk away. Fearing the repercussions for shooting something other than a deer, he takes him home. The man says he’s Alejandro Lopez and makes his attraction clear, along with his desire to find one of those odd things Gideon has seen. Is Gideon ready or even willing to turn his life upside down for a complete stranger…even one he accidentally shot?